Is A BMW M4 Gran Coupe Under Consideration? The new Audi RS5 Sportback could also be a factor. According to a report in Spanish language , BMW is planning to launch an M4 Gran Coupe due to customer demand as well as the arrival of new and already widely respected opponent, the . However, the upcoming M4 Gran Coupe will not be part of the current generation, but rather it’ll be based on the next generation 3 and 4 Series. It’s not slated to arrive until 2021, at the earliest. We can’t say this news is not entirely unexpected, although BMW has yet to make an official statement. We reached out to BMW, but received the standard "we do not comment on rumors" response. BMW previously felt there was insufficient demand to justify giving its the full-on M treatment, but given buyers’ appetites for the sleek styling and conveniences of a four-door hatchback, the decision seems to be a no-brainer. And yes, the Audi RS5 Sportback is due to hit US showrooms later this year. Why would BMW want to give Audi this segment all to itself in one of the two most lucrative markets in the world? 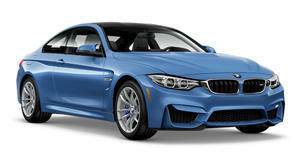 While the M4 Gran Coupe is still a few years away, speculation is alive and well regarding the upcoming M3 and M4. But let’s back up slightly first. 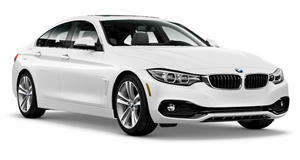 The next generation 3 Series is expected to be unveiled this October at the Paris Motor Show. The M3 and M4 won’t come for at least another year following that. Built on BMW’s CLAR platform, which also underpins the 5 and 7 Series as well as the also upcoming reborn 8 Series, expect weight to be decreased and output to increase. Speaking of which, we've heard the next M3 and M4 will be powered by an updated version of the current twin-turbo inline-six, currently rated at 425 hp and 406 lb-ft of torque. BMW could either simply increase this engine’s output by 45 to 60 more ponies or, alternatively, give it electrical power. This would entail a 48-volt electrical system paired with a small electric motor that would be located between the engine and gearbox. By comparison, the 2018 Audi RS5 Sportback has 444 hp thanks to its twin-turbo 2.9-liter V6. , and a M4 Gran Coupe would fit very nicely with that growing lineup. Sometimes, you truly can have it all.